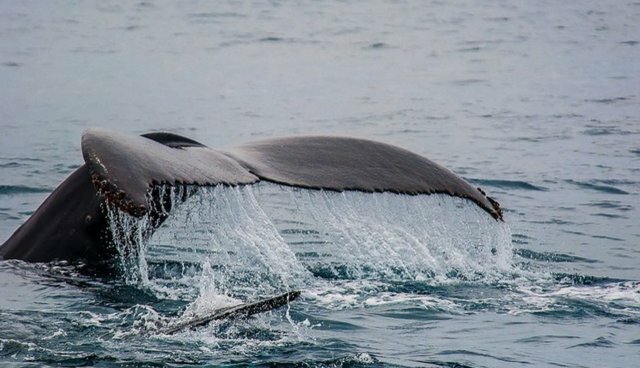 In a rare encounter on the waters off Monterey Bay, Calif., a pod of orca whales and a group of humpback whales collided in spectacular fashion. As whale watchers looked on in awe, the orcas were scattered from their feeding grounds by about 11 invading humpbacks in a skirmish that reportedly lasted 45 minutes. What's really going on here? According to researchers, this phenomenon isn't unheard of. "It sounds incredible, but this behavior by humpback whales has been seen in many locations," Dr. Paul Wade, a research biologist with NOAA's National Marine Mammal Laboratory, told The Dodo. Wade pointed to another incident that made headlines in 2009, during which a humpback nudged a seal under his massive flipper to shield him from an oncoming surge of marauding orca whales. The sight shocked scientists watching nearby, who postulated that the seal triggered a kind of maternal defense instinct with the humpback whale. Dr. Naomi Rose, a marine mammal scientist with the Animal Welfare Institute, also told The Dodo that the behavior is in line with that of other adult baleen whales, who can successfully defend themselves from hunting orcas. They use their tails as formidable weapons to defend from the smaller, toothed whales (who usually feed on marine mammals, but have been known to attack juvenile baleen whales). As for this incident, one researcher theorized that this was an example of "bully" behavior. "The humpbacks know the killer whales and they're trying to drive them off," marine biologist Nancy Black told the Santa Cruz Sentinel. "They're trying to intervene and bully the killer whales." Whatever the motivation, it's clear that the humpbacks' "mobbing" tactics worked - the orca whales quickly fled the scene.